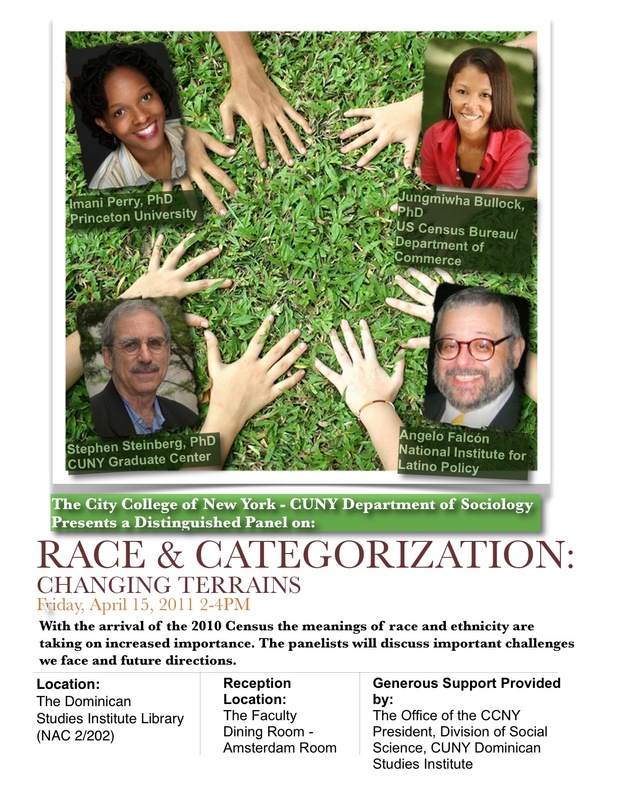 The City College-CUNY Sociology Department is pleased to present 2 symposiums on race in America. 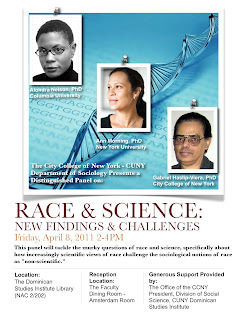 The first one on April 8th is entitled "Race and Science: New Findings and Challenges." 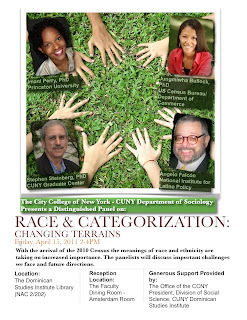 The second panel on April 15th is entitled, "Race and Categorization: Changing Terrains." follow in the Faculty Dining Room (Amsterdam Room). 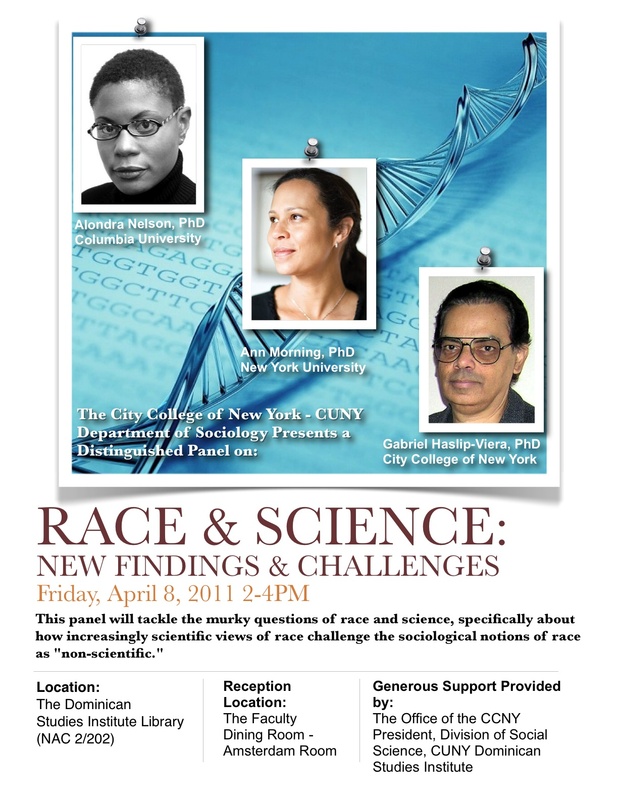 Please e-mail Lpaik@ccny.cuny.edu if you have questions, need directions, etc.